Two DUI checkpoints planned in Columbus tonight | Yavitch & Palmer Co., L.P.A. 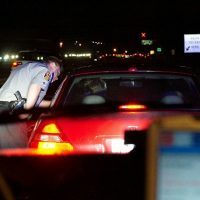 The Franklin County DUI Task Force has announced two sobriety checkpoints from 8 p.m. to 2 a.m. Friday, April 8, within the same two-mile stretch. Both checkpoints will be set up along Livingston Avenue. If you’re going out tonight, go ahead and make plans for designated driver. The easiest way to remember: The number 4. As in 614-444-4444, the number of Yellow Cab. Or go ahead and download the Uber app and set up an account. Otherwise, here’s everything you need to know about DUI checkpoints from a Columbus criminal attorney.